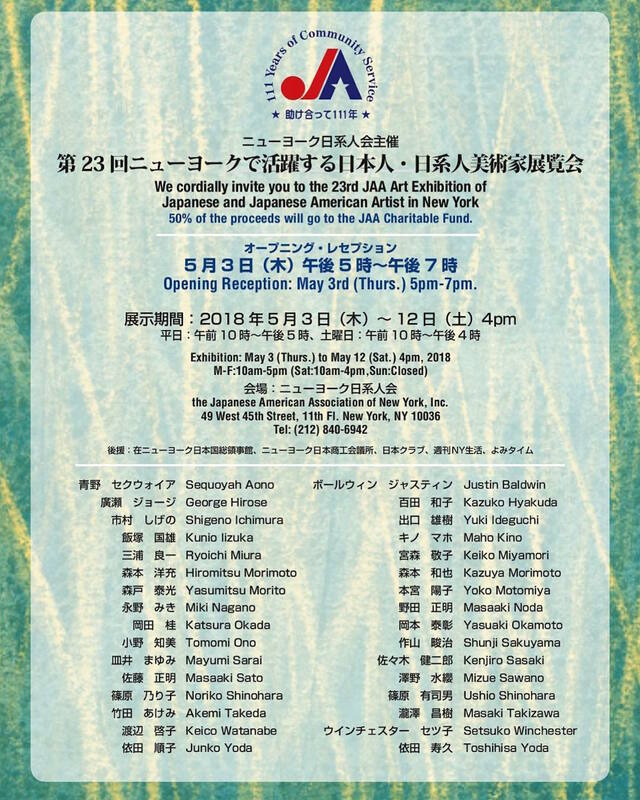 Opening reception: Thursday, May 3 from 5:00 p.m. until 7:00 p.m.
For more than two decades, the Japanese American Association of New York has held an art exhibition that has supported local Japanese artists while raising money for JAA’s initiatives. This year, JAA’s 23rd exhibition features works by 32 artists who have exhibited locally and beyond. Among the artists are “boxing painter” Ushio Shinohara and his wife, Noriko, who were the subjects of the Academy Award-nominated documentary Cutie and the Boxer. Ryoichi Miura, publisher of Japanese newspaper Shukan NY Seikatsu, will also exhibit his paintings. 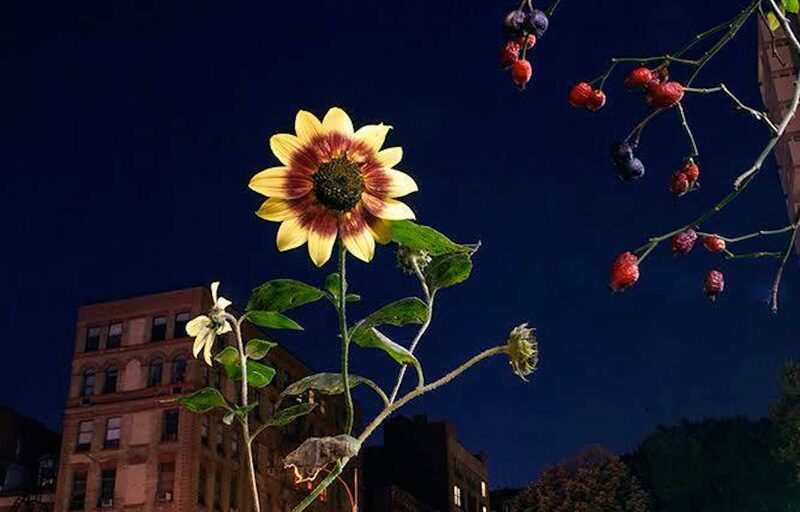 Japanese American photographer George Hirose’s documentation of the community gardens of the East Village will be on display. All works are available for purchase, with 50% of the proceeds going toward the JAA Charitable Fund. Exhibition hours are Monday through Friday from 10:00 a.m. until 5:00 p.m. and Saturday from 10:00 a.m. until 4:00 p.m. For more information, please visit JAA’s website.